You define a "Super User"
Every app is different, you get to set what a Super User is for you. It might be someone who uses the app every day for an hour. Or twice a week for at least 10 minutes. Change this anytime. AppToolkit tracks app opens, total time in app, taps on screen, and screens loaded, all without 'fingerprinting' or advertising identifiers. AppToolkit identifies your best users, showing you who's a Super User and who's close to becoming one. You'll even see former super users who are using it less. 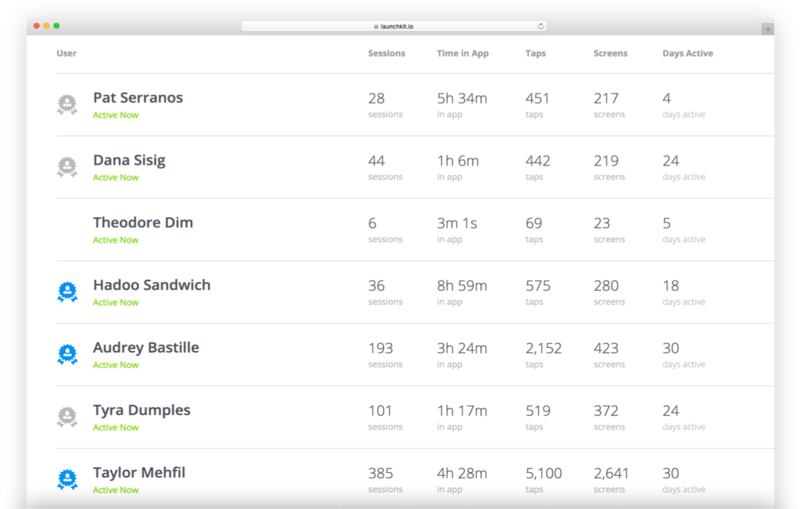 With a tiny bit of code you can show a new feature to your best users, ask them to review your app, or encourage them to tell their friends. AppToolkit makes targeting them easy. If your app doesn't have user accounts, no worries. 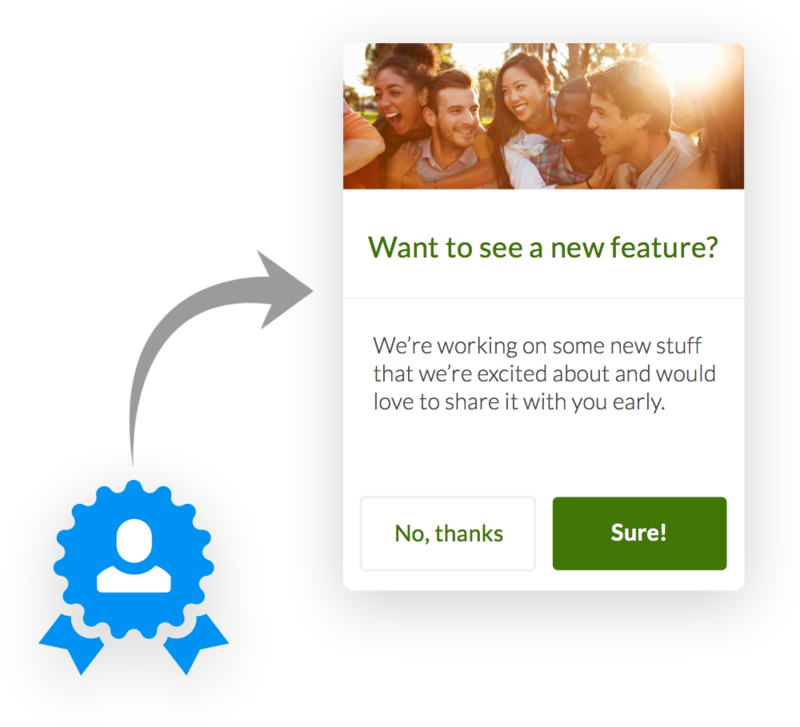 We'll still identify your best users, they just won't have names in our dashboard. Targeting in-app still works as expected. 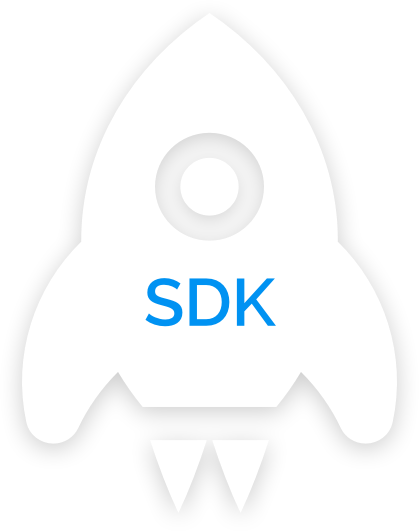 The AppToolkit SDK is super simple and available on GitHub. 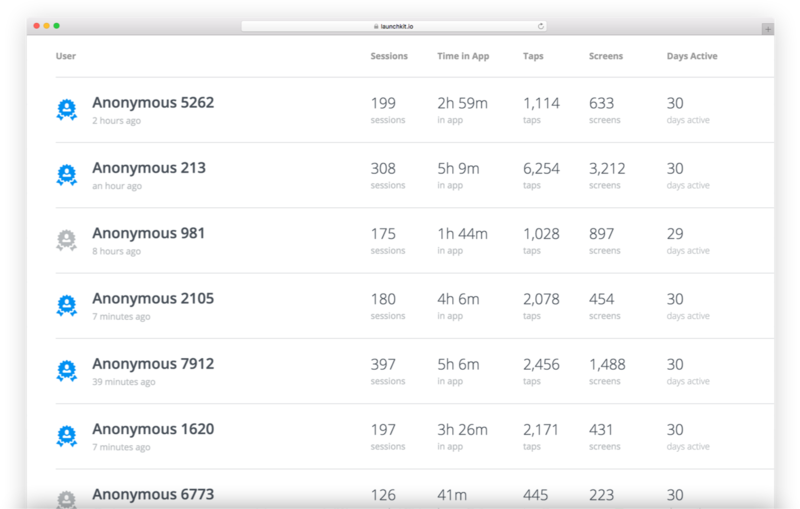 We've tracked many millions of user events in production, so we're confident you're going to love it.